RITA registers Marriages and Divorces, and also issues certificates. Marriage and Divorces is governed by the law of Marriages Act, 1971 Cap 29 .R.E 2002. 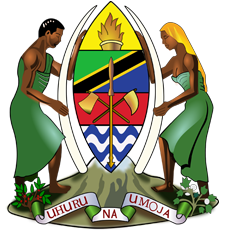 To obtain a copy of an entry in a register of Marriage in Mainland Republic of Tanzania. To obtain a copy of an entry in register for foreign marriage. Annex copies of Birth Certificates of children of the marriage if any. Submit copies of Birth Certificates and passport . Parent/guardian written letter to verify the status of applicant and the identity card of the parent/guardian who verify the status. Pay appropriate fee (current fee rate Tshs 200,000/=). The form should be applied by the applicant. For the applicant who renew need to accompany with the 1 passport size photograph. To obtain Registrar- General’s Special licences to celebrate marriage within 7 days. Proof of good cause to waive the requirement for 21 days notice. Appropriate fee (current fee rate Tshs. 100,000/=). To obtain licence to celebrate marriage in a special places other than one habitually used as a place of public worship or gathering. Give reasons for the application of licence to celebrate marriage in a special place. All marriages celebrated in Tanzania mainland are registered with the registration with the registrar general of marriages and divorce. All District Registrars and ministers of religion are required by law to send returns of all marriages officiated by them at the end of every calendar month. It is from this return that the registrar general maintains a register of marriages. If the original marriage certificate is lost you can obtain a copy of an entry in the marriage registrar kept by the registrar general. Present your request RITA offices indicating names of the parties to the marriages, of marriage place, of marriage (district) indirect also whether it was a civil or religious marriage. Pay appropriate fee which currently is TSH 50,000/=constituted as follows:. 2. I am Tanzania living abroad and I want to get marriage there but the authorities required me produce a certificate from Tanzania that is it have no impediment to marriage. How can I obtain it? Approach Tanzanian embassy in a country your staying to obtain relevant application form RGM 12 which you must fill to submit to the registrar general of marriage through the embassy Or (you can down load this form from our website)or present it to RITA offices in Tanzania if you happen to be there. If this certificate is to be sent to you make sure that the payments include postage legalization fee to any. 3. I am a Tanzania living abroad. I contracted marriage there. Can I register this marriage in Tanzania? Attach a copy of your marriage certificate which verified from the embassy where you cerebrate your marriage and a copy of English versions of your marriage certificate (if your marriage certificate is not in English or Swahili a certificate translated copy by consular officer or notary public. Pay the appropriate fee currently is TSH 100,000/=. Marriage contracted In Tanzania embassies abroad are regarded as marriages contracted in Tanzania mainland not covered by this procedure. There is a marriage which is to be officiated and feel that there exist impediments of that marriage. How can I go about blocking it? Give notice of your objection in writing to the registrar whom the notice of intention was given. If you think that the parties may decide to issue a new a new notice to another registrar, copy your objection to that registrar. 5. Many marriages were dissolved by the court. How can I get my divorce certificate? Your divorce will be recognized and registered I time allowed for appeal has expired and no appeal was preferred or if was preferred it has been finally determined and no further appeal or pending. 6. It is possible for somebody to collect a licence to conduct marriage on behalf of another person? What is required is to bring your identity card, an original copy of expired license and introduction letter from the applicant. I contracted marriage in 1958 before the law of marriage Act 1971 come into force and my marriage was not registered under the old law (the Marriage Ordinance) but my marriage is still subsisting. Can I register this marriage and get the marriage certificate? Annex to this application, evidence to prove your marriage such certificates issued by ministers of religion or kadhi. Annex an affidavit to prove that marriage is still subsisting.